With no two events being the same, we know the importance of having an extensive product inventory from which we can create the best event infrastructure. 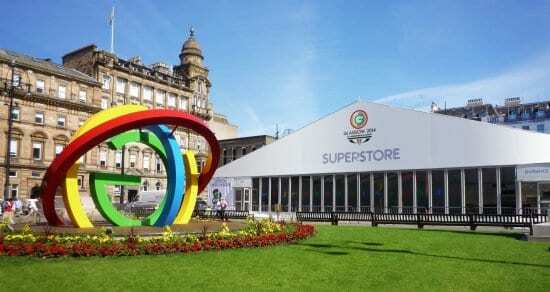 We offer a huge range of temporary event structures that we have built up over the years. Take our off the shelf structure and combine with our in-house creative design service to create a bespoke, innovative temporary event venue. We place a real emphasis in having well-maintained, modern structures equipment to help our clients create unforgettable events. The Alu Hall is our classically elegant structure, suitable for exhibitions, concerts, conferences or corporate hospitality events. The I-Novation is our flexible, more permanent feeling structure, suitable for exhibition pavilions and promotion spaces. Our multi-storey structures, with viewing galleries, are used at sporting and corporate events globally, where space is limited, and a good view is of prime importance. Our Arena Super Deck is designed to deliver the most practical, sustainable and cost effective semi-permanent solutions for your infrastructure and architectural requirements. TFS is our spectacular venue that comes in a range of sizes and meets any event needs. We have a vast range of structures suitable for exhibitions, concerts, festivals, conferences corporate hospitality, public occasions, official celebrations and commemorations, broadcast, brand launches, experiential activations, temporary cinemas and theatres, to name a few! We store, repair and maintain our own kit, which means we own the quality assurance delivery, which is never compromised. Being centrally based in the UK, we are never far away from your event.